they are adding more palms, and they seem to be watering every 2 days. added palms south of deep blue to pablos. they have fixed two of the damaged lights that cars has hit, one was missing and the other severely bent. They completely replaced all that were missing and straightened the bent one. Here's something I doubt anyone has seen before. Click on any of the green dots you see on the globe and you will hear what that radio station is playing in real time. Event: Since August 2018 the U.S. Centers for Disease Control and Prevention (CDC) has confirmed multiple cases of antibiotic-resistant infections in U.S. patients following surgery at the Grand View Hospital in Tijuana. The most recent cases relate to surgeries performed in mid-January 2019. The U.S. Mission to Mexico has advised US. government employees to avoid seeking medical treatment at the Grand View Hospital until further notice. Refer to CDC’s Travelers’ Health Alert on Drug-Resistant Infections in Mexico for additional information and future updates. • Review CDC’s Travelers’ Health Alert on Drug-Resistant Infections in Mexico. • Review the general risks associated with medical tourism. Had a meeting a few days ago. I have found a professional dog trainer to do rattlesnake avoidance training in LaPaz. He needed a source of live rattlesnakes and I have found a supply of rattlesnakes for him. Now what we need is an unbreakable acrylic cage for the training to be designed and constructed. Can someone donate the time to make such an enclosure? and road over the mountain has all major pot holes filled in again. And they are really moving on puttting in the bridge supports. Still drilling some but have some 3/4 built in with the concrete. La Paz, Baja California Sur (BCS). The mayor of La Paz, Rubén Gregorio Muñoz Álvarez, mentioned that they will install 300 surveillance cameras in the urban area, whose investment will be 45,000,000 pesos. He also indicated that the installation of the cameras is part of the second stage of the comprehensive security program for La Paz ; He also commented that the equipment will be complementary to the units that are already operating in the C-4. "We plan to invite businessmen to join this measure by placing cameras in hotels, gas stations and shops, which can be connected to the optical system that exists," said the mayor. In this sense, he said that they intend to place the cameras in the colonies and at citizen meeting points to form a shield, which allows to optimize the surveillance tasks and to return the inhabitants the tranquility they demand. Finally, Muñoz Álvarez said that drones will be used, which will operate within a radius of 5 kilometers away from each command to turn them into the first technological respondents, since these will be sent to the points where an emergency is reported. It should be noted that in 2017 , the Secretary of the Government of Baja California Sur, Álvaro de la Peña Angulo announced the installation of 120 cameras in La Paz and 33 in Los Cabos , with the purpose that these teams could support in the investigation of crimes committed . 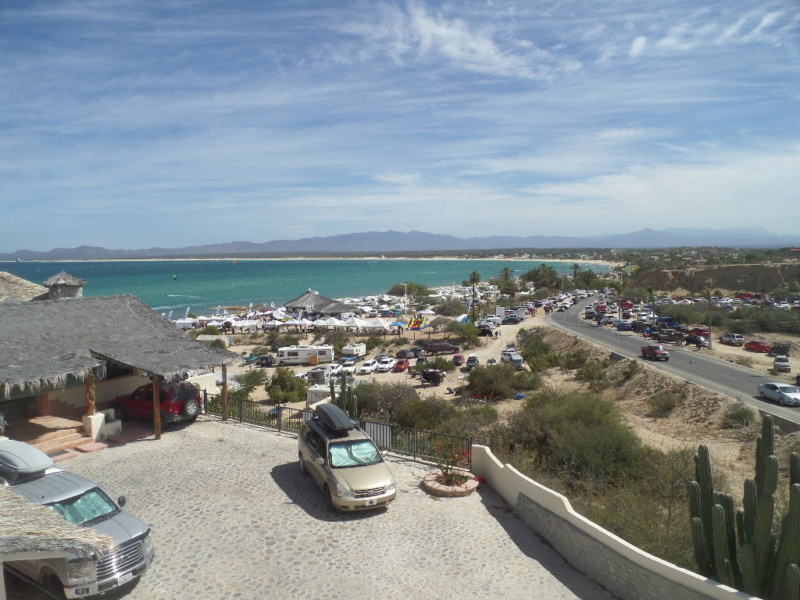 its official as of jan 1 the hotel tax for airbnb will be auto payed by airbnb to baja sur. L a Paz, Baja California Sur (BCS). The governor of Baja California Sur , Carlos Mendoza Davis , announced that those who rent on Airbnb in the state will have to pay the 3% lodging tax. In this regard, the president said that the accumulated will be allocated to the tourism promotion trust for the State of Baja California Sur, as does the resource provided by hoteliers, for this same payment. He also stressed that, with this agreement, more possibilities are open to carry out actions for the Airbnb company to cooperate with the state in terms of innovation, entrepreneurship and sustainable tourism. In this sense, Mendoza Davis indicated that, more are more than 6,000 spaces of the entity, listed in this company and that only in July 2018, more than 100 thousand travelers arrived in the state. Similarly, the state executive, stressed that the agreement with the company will be added to the tasks of state promotion in the national and international market, which will impact on a greater presence of visitors in different destinations of the peninsula.
" We will work together in the promotion and dissemination of the destination, using technology and innovation in favor of the Baja Californians," said Carlos Mendoza . here is the data for tourism in baja at airports. La Paz, Baja California Sur (BCS) . The destinations of Loreto, La Paz and Los Cabos reported an increase in the arrival of passengers by air at the end of 2018, said the head of the Ministry of Tourism, Economy and Sustainability (Setues ) in the entity, Luis Humberto Araiza López . In relation to the above, the Aeroportuario del Pacífico Group (GAP) indicated that La Paz registered an increase of 9.2% and Los Cabos of 6.9%, in relation to the previous year; Loreto had a growth of 6.3, according to data from the International Airport of Loreto (ASA). "The South-Californian economy grows and strengthens with great dynamism, this is thanks to the momentum and consolidation of the tourism industry," the official added. These numbers translate into an important economic income, not only for hotels and restaurants, but for local commerce, which pays for the progress of all citizens. Araiza Lopez added that the office in charge of the office designs strategies, jointly with the State and Municipal Trusts, to keep pace and face the challenges that arise in the tourist field. uber it appears is set to be allowed in Nov 22 of this year, taxis protesting. La Paz, Baja California Sur (BCS). The director of the Municipal Sports Institute in La Paz (IMD), Guillermo Ortalejo said that the City Council of Mayor Ruben Muñoz Alvarez will prepare a triathlon of extreme sports in La Ventana , where international athletes will participate, which aims to promote activities sports in the sub-delegations of La Paz. 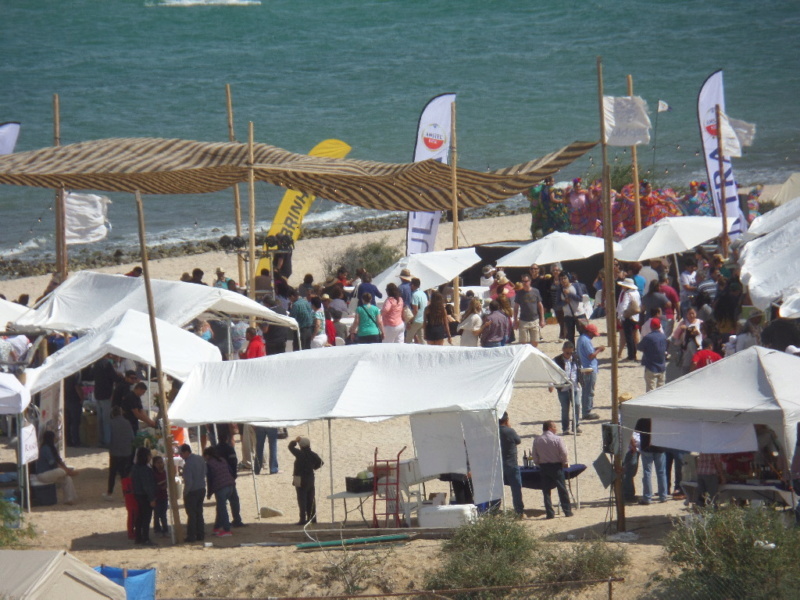 He also commented that this event will take place from April 8 to 14, in which activities such as kiteboarding, mountain biking and surfing will be practiced. Guillermo Ortalejo mentioned these activities will have the endorsement of the Mexican Association of Kiteboarding and that in addition to the aforementioned dynamics, in this triathlon will also be developed gastronomic and cultural activities for the enjoyment of the spectators. "The Challenged Window will also be accompanied with cultural and gastronomic activities for the enjoyment and enjoyment of the spectators", concluded Ortalejo. La Paz, Baja California Sur (BCS) . Starting this Saturday, January 12 and for the rest of the year, the closure of two roads in the historic center of La Paz will be implemented , with the aim of developing the Organic Market, announced the Directorate of Public Safety, Police Preventive and Municipal Transit (DGSPPPTM ). The measure includes the closure of Francisco I. Madero Street, from Miguel Hidalgo and Costill to Calle 5 de Mayo, as well as Constitucion Street, which will be closed from Belisario Domínguez to Calle Revolución from 1910 . On Saturday, January 12, 2019 at 1:00pm join University of San Diego Emeritus Professor, Iris Engstrand who will read from her recently published, second edition book, Joaquín Velázquez de León: Royal Officer in Baja California, 1768-1770. Professor Engstrand’s reading will be held in the tea room of the Museo Ruta de Plata located on Calle Municipal, El Triunfo, BCS. Copies of the Professor Engstrand’s book will be on sale at the museum gift store and she will be available after her talk for a book signing. Originally published in 1976, Engstrand’s second edition book published by Editorial Museo Ruta de Plata brings to life the unique colonial era, expeditionary efforts of Velázquez de León, an officer who served the Spanish Crown in Baja California’s Cape Region as well as his historic role in documenting the 1769 Transit of Venus from peninsula’s first colonial settlement at Real de Santa Ana. Engstrand’s book also highlights Velázquez de León’s testy relationship with Manuel de Ocio, Baja California’s first entrepreneur. we had about 1/8 of an inch of rain yesterday. The Official Journal of the Mexico Federation decrees that the minimum daily wage for 2019 will be $102.68 pesos. That is an increase over the current daily minimum wage of 16.21%. The new minimum daily border wage will be $176.72 pesos. This increase will have effect policies that calculate limits based on a multiple of minimum wage salary days, as it is with Liability for damages to third parties, or the deductibles in the HOA policies. As your Insurance Agent, it is our duty to keep you informed about the changes in the country that directly affect your risk management. If you have any questions about your current policy, please contact your Novamar Account Executive. Este incremento afectará a las pólizas que calculan sus límites basados en un múltiplo de días de salario mínimo, como es el caso de la responsabilidad civil por daños a terceros o los deducibles en las pólizas de HOA. (Asociaciones Civiles). Como su agente de Seguros, es nuestro deber mantenerlo informado sobre los cambios que se realicen en el país y que afecten directamente a su administración de riesgos. Por favor si tiene alguna duda acerca de su póliza actual, contacte a su Ejecutivo de cuenta de Novamar. 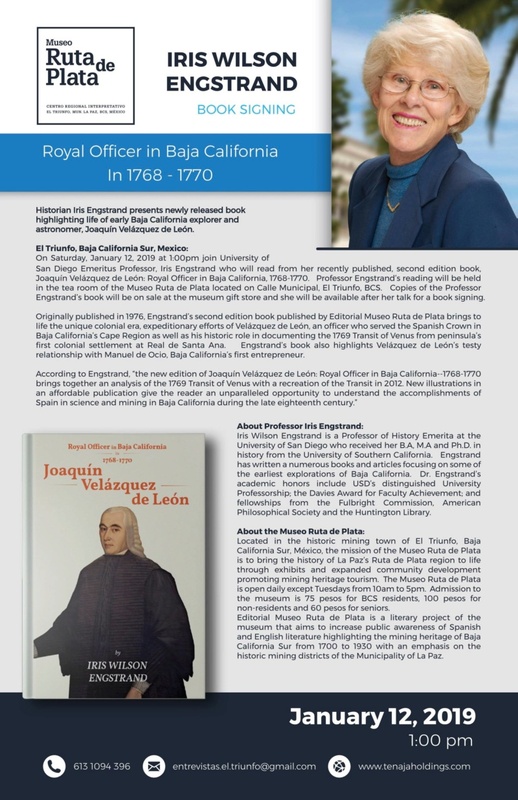 MGI Agente de Seguros, S.A. de C.V.
Join University of San Diego Emeritus Professor Iris Engstrand who will be in El Triunfo to read from her recently published book, Joaquín Velázquez de Leon: Royal Officer in Baja California, 1768-1770. The reading will take place in the museum's tea salon at 1pm. The book will be on sale in the gift shop and the author will be available for signing. Enjoy lunch, hear the talk, see the museum and pick up this book that provides a unique chance to understand Spain's accomplishments in science and mining in Baja during the late 1700s. well, probably about 2-4 inches of rain is my estimate. should be ending shortly as seen on some of the weather maps at this link. Discover the New Silver Route Museum in El Triunfo ! Opening November 17, the new Museo Ruta de Plata is dedicated to preserving and interpreting the rich mining history and settlement of the Cape Region. The museum complex offers exciting, interactive exhibits, indoor & outdoor spaces, fine art, a gift shop, and options for wining and dining. Baja Poly Express wrote: Heard from two actual first-hand drive downs. NO problems from Hurricane Sergio what-so-ever. Again, usual bumps and dips. To avoid the possible 1+ hour delay at the Santo Tomas mountain, travel there on a Sunday. still another tropical storm developing to the south. Look closer and you will see this old-school chain is a linchpin of the country's e-commerce. The retailer, with more than 17,000 locations throughout Mexico, has cracked two of the biggest barriers to online shopping in the developing world: payments and pickup. Shoppers lacking bank accounts - more than 60 percent of Mexico's population - can plunk down cash at their local Oxxo to make purchases from more than a thousand online merchants. Those who live in dangerous or remote areas where home delivery is complicated can then head back to Oxxo to retrieve their merchandise. The pick-up program, offered with Amazon.com Inc, operates in nearly 3,000 Oxxo locations, with plans to expand. Oxxo is in talks with other merchants to handle their packages too, said Asensio Carrion, Oxxo's director of financial and electronic services. Oxxo takes a cut from both merchants and consumers on most transactions. It's not rocket science. But analysts say Oxxo has seized on a lucrative opportunity to cement itself into the e-commerce supply chain in places where online shopping is not the seamless affair it is in wealthy countries. That makes it one of the few companies in the world with the leverage to go toe-to-toe with Jeff Bezos, Amazon's billionaire founder. At a time when many brick-and-mortar retailers view e-commerce as a threat, Oxxo has found a sweet spot. well, no rain from the strange storm that did an about face. the changeover in the new LaPaz government is moving forward. This could effect garbage pick up for a week or two. I remember some years it was a month or so. note that the new administration also notes they believe there are 500 employees that are fantom employees out of 3200 real ones..
from what I remember not long ago they raised the IVA in bajas to match that of all mexico, baja representatives argued that when they were at the lower rate they were paying more per capita by over double already and getting much less back per capita. Well, this article using google translate infers they are going to drop the IVA down to 8%. La Paz, Baja California Sur (BCS) . The federal deputy emanating from the Labor Party ( PT ), Alfredo Porras Dominguez , mentioned that, there is 100% of the probability of lowering the VAT in Baja California Sur to 8%, for which the Baja California legislators will work together with the president of the elected Republic, Andrés Manuel López Obrador to achieve it. you must be a registered member to view this at that location. I was talking to a long time friend I have known in LaPaz for 19 years. He has a security company and has been doing security at various LaPaz remote locations for many years. Recently he has started doing the security at punta arena and Bay of Dreams. He is doing it with solar powered wireless cameras. I saw these not long ago and was impressed. I did not know it was his company. I will not be releasing his name or his company name for security reasons. As a side note, Lapaz and Cabo now have wireless video security cameras in many major intersections around the town. It was funded by businesspeople of the areas. He has nothing to do with these but I believe these to be the factor in dropping the severe crime in LaPaz and Cabo as we are no longer on the top safety stat list. Not that a single American or Canadian has been killed or targeted by the cartel here ever. But it appears it has made a difference. If you have ever been to London they installed cameras 30 years or so ago to deter the IRA bombings. If you go out to the lighthouse or that area you will see these new wireless solar operated cameras. They still have security guards in various checkpoints too. I have asked him to give us a ballpark quote to do similar in our area. I was thinking the main turn off junction is a good spot for a camera to know which way a thief departed, where the police RV is another. These will not require power as they are solar operated. These two locations may be able to mitigate 90% of all serious activity. He is also going to quote having 24 hour manning of the RV, as I believe it is needed with the system like they do out at the lighthouse area. They are not to act as police but to relay and get the police. If people want to suggest other locations please feel free to. This will be a community project and we will need to secure funding somehow. With cameras in added locations, I am confident we can hit a 90% reduction in serious issues. Remember in the last year or two, from what I heard the gas station was even robbed when closed the loaded a lot of fuel. And the OXXO this summer I heard the ATM was stolen or broken into during the night, and Club Ceralvo had their ATM similar at night. Fortunately, no one was harmed in these incidents. With these cameras we go back in time to see the vehicles that passed through on the times in question. And a, for instance, is the security guy would be notifying police of vehicles that were entering town missing license plates right way. Same as they do at bay of dreams. Further as Bluetooth 5.0 gets into security devices we will be able to put low-cost tags (maybe USD$30.00) onto devices things we do not leaving town, such that you hide it say on a motorcycle, computer, TV, safe, anything and if it passes the checkpoint they will be alerted immediately as long as the tag comes within 50-100 feet of the checkpoint. Then the guard can call the listed owner and see if it should be passing him. If not, he watches which way the person turns at the lapaz intersection and call police in either Los Planes, San Antonio, LaPaz with description and photo of the vehicle. He is not to chase. These tags will have a year or more battery life before they need changing. again for the future i will have the discussion at this location. It is 10-20 feet past the klm 23 marker post. went by it again yesterday too. Man that would be disastrous at night with headlights coming at ya. Local Road Report: at about klm 22 or 23 on the road to lapaz side there is a huge severely unmarked missing section of the road that is a clear and present danger, from both sides slow down to a crawl as the car coming from LaVentana may swerve into the oncoming lane to save their lives. There are other pot holes too from the recent rains. The cows are at epic proportions this year. and mosquitos are getting out of hand bring repellent make traps. note people are reporting immigration checkpoints on HWY 1 three places, GN, Loreto and LaPaz. So do not space out and forget to get it at the border. Oh in Cativena they are re-building the gas station there. Looks like will be open by November. also note when coming into LaPaz from the north on HWY 1 go to the left at the whale tail and after walmart at the first light take the right to go past home depot way. There is construction and blocked off detour, (not to severe if you do a mistake and go this way) the other direction to the right but if you go to the left it is simple. BTW today went to lapaz they have fixed that big pothole that could take a tire out. as a side story when driving south from the other side a caravan of about 15 federal police were stopped at a military checkpoint, about 4-6 looked like elite special forces were in each vehicle, they were lead by two super bus command vehicles made my Mann. All the vehicles they were in were also not made in USA very exotic looking specialized tactical vehicles. I asked the military guy on the heading south side what was going on and he said they were heading to TJ to go after the Cartel. slight rain today. Lapaz looks like it had a major rain the day before, some flooded out areas. I just drove hwy 1 to usa and back. Road was in better shape than I have seen it in years. as long as we do not get a hurricane again it will be easy travels. The worst pothole of the entire trip is on our mountain in the newer section just before you are about to head down the mountain. At the lapaz checkpoint going south the federal police checked my ID, my trailer registration and my car registration. They also did this at San Ysidro entering Mexico, I paid duty and went in the declare lane, and was then sent to secondary and they even did the x-ray on my car and trailer. Could be because of very few travelers, as the guy at where 5 and 1 meet said his business is really slow the last few weeks and other highway businesses saying the same. He told me they paved I think it was 10 klms of the dirt road of 5 and all work on that by-pass has completely stopped. his guess out of money for the time being. But that would take 6 miles of the 23 to be easy now, it was the easier stretch anyway, he does not know if they will block it off to traffic though. Because I had a small trailer i could not take the 5 road. Plus it is still really hot on the sea of cortez side vs pacific side. as I noted HWY 1 is probably in its best conditions in years, not one pothole that can destroy a tire and car right now. Ya, some rough patches and ya no lines so at night it would be a nightmare. Just past all the bs traffic of Ensenada and san quintine, there is construction that if you hit it wrong time, well on the way back for me it was 20 minutes and i would estimate for the ones way at the front 1 hour. On the way down I hit it a Sunday so they were not really working and it was a breeze. I also crossed at Tecate going north because it was a holiday weekend and that was nice only 30-minute wait. There is construction before lapaz heading south and that was about 6-10 klms and was easy on the side road they have. more rain later after the intial post. a strong dump. Again this could be just half the town with this type of system. maybe 1/4 inch to half an inch. another trailer being set up in the campground.